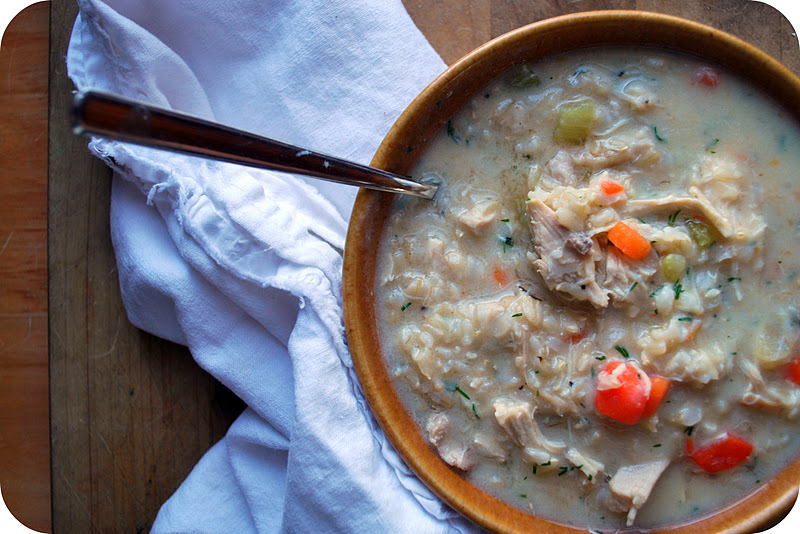 If I was going to marry a soup--it would be this one. That's how much I love it. It so luscious without being overbearing, hearty without being heavy, healthy without hitting you over the head with how wholesome it tastes. It was actually inspired by a soup I once had at the now defunct Figlio restaurant here (oh, how I miss Figlio)--it was this silky, lemony soup with a touch of basil. 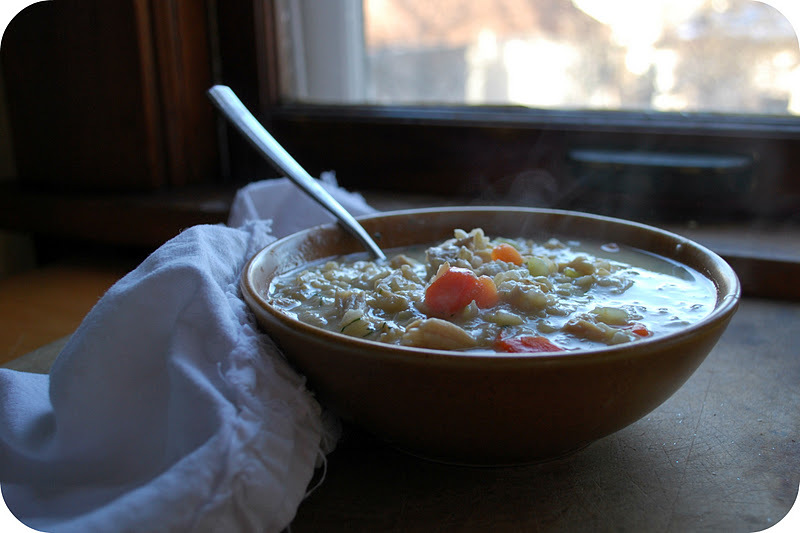 Then I found a recipe for a lemon chicken soup and worked from there to try to recreate what I once had at Figlio--and this is pretty close. I did go for the traditional greek addition of dill rather than basil (but it is just as good with basil if you would rather, so feel free to use it if you have it). Of course, you can make other substitutions, like white rice instead of brown (you will just need less cooking time for the rice), more veggies, or even more chicken and rice if you want this to become almost stew-like. 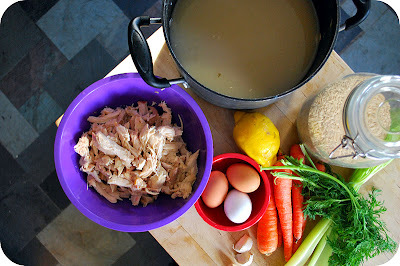 I do recommend making your own chicken broth--I have a recipe for how to do that with old chicken bones here. If there is one soup I recommend you try yet while it is still winter around this part of the world--it is this one. Really. You won't regret it. Oh how I love avgolemeno! Can't wait to try your version! Thank you so much for this post. I want to let you know that I posted a link to your blog in CBH Digital Scrapbooking Freebies, under the Page 6 post on Feb. 02, 2012. Thanks again. You had me with the post title really. I love me some soup. Thank you! This looks fantastic. I just have one question -- when do you add the chicken? I'm thinking I'd do it when I add the veggies. Guess I left that bit out of the recipe--whoops. 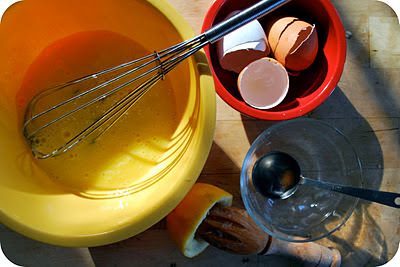 I add the chicken just before I add the lemon egg mixture. The chicken should already be cooked so you really only need to warm it. umm...you make this sound oh-so-good I think I will need to try it! Made it! It's delicious! You are right about the egg magic. Mine got super thick, like stew. I think it might have been the Jasmine rice. I didn't have brown. I'll add less next time. Thanks again for good soup night. we made it this past weekend. It's great! 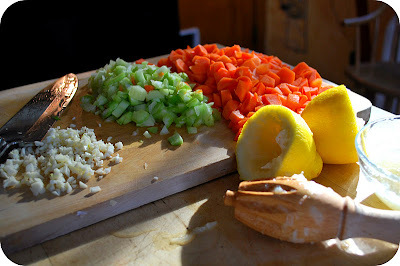 And yes, add some water or chicken stock with the left overs. Thanks for a new cozy recipe.